The project aims at creating a protected internal space, a system of courts, patios, factory pieces which create a complex structure with an intense rapport between the interior and exterior. A system of fences structuring the open and closed spaces which give the possibility to live the green spaces as outdoors rooms. This space is at the same time a big dynamic playground and space for the learning tranquility. In this way we mean school as a total experience, as a place of affection and belongings. This is an educational space able to influence positively the kids’ memory. 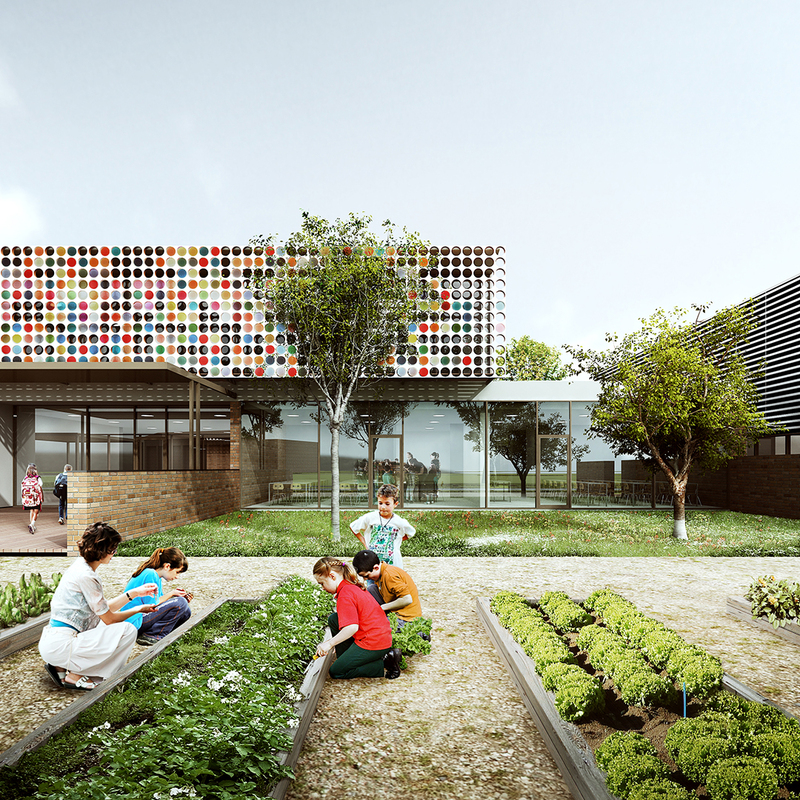 The project is designed with the idea of sharing a happy space which can stimulate learning with different activity and concentration levels. These requirements have lead to design a space for learning and growth where the path for kids is represented by a great “Eden” garden where they can grow up from the early age. It is a garden, where the idea of internal and external is mixed to create a fluency and continuity between experience, training, learning, and where the game and the nature can quickly become an educational tool.